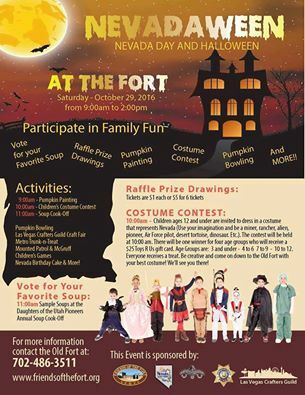 The Friends of the Fort have invited us to display our handmade creations at their Nevadaween celebration. This is a first for the Guild and we hope that it will be a wonderful experience for the attendees and our members as well. Nevadaween combines the fun of Halloween and celebrates the Birthday of Nevada! Family fun activities start at 9:00am with Pumpkin painting, and a Children’s Costume Contest for ages up to 12 years old at 10am, Soup Cook-off at 11am, and MORE! Las Vegas Crafter Guild will be there with handmade items for sale. 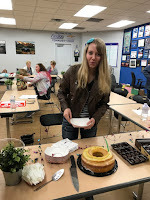 Las Vegas Metro Trunk-n-Treat, McGruff, Pumpkin Bowling, Haunted House, Raffle Prizes and a Nevada Birthday Cake.